Ducks Unlimited got its start in 1937 during the Dust Bowl when North America’s drought-plagued waterfowl populations had plunged to unprecedented lows. Determined not to sit idly by as the continent’s waterfowl dwindled beyond recovery, a small group of sportsmen joined together to form an organization that became known as Ducks Unlimited. Its mission: habitat conservation. Thanks to decades of abiding by that single mission, Ducks Unlimited is now the world’s largest and most effective private waterfowl and wetlands conservation organization. DU is able to deliver its work through a series of partnerships with private individuals, landowners, agencies, scientific communities and other entities. Ducks Unlimited is a grassroots, volunteer-based organization. Its members are conservationists and outdoor enthusiasts who live primarily throughout the United States, Canada and Mexico. 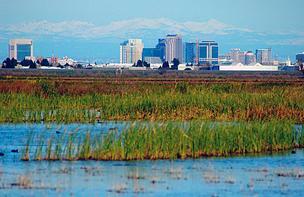 DU’s Western Region is comprised of Alaska, Arizona, California, Hawaii, Idaho, Nevada, Oregon, Utah, and Washington with the headquarters located in Rancho Cordova, Calif, just outside of Sacramento — this blog is dedicated to the issues, news and happenings that take place in those states.